ConocoPhillips doesn’t care about Southern Californians, tradition or good design. That’s the only possible explanation for the grisly news that the beautiful and beloved blue and orange 76 Ball that has flown high at Dodger Stadium for generations has been replaced with a flat liver-colored disk. ConocoPhillips will not stop their campaign of design terrorism until the last 76 Ball is pulled from its pole and smashed into a million pieces… unless YOU the consumer make it clear that you won’t stand for it. Sign the petition if you haven’t already. Then contact ConocoPhillips and let them know they won’t get a penny of your gas buying dollar unless an ORANGE and blue 76 BALL is looking over the pumps. The red disk just doesn’t make it. Together we can SAVE RAY’S BALLS! Can’t believe Conoco Phillips destroyed the sign at Dodgers Stadium! 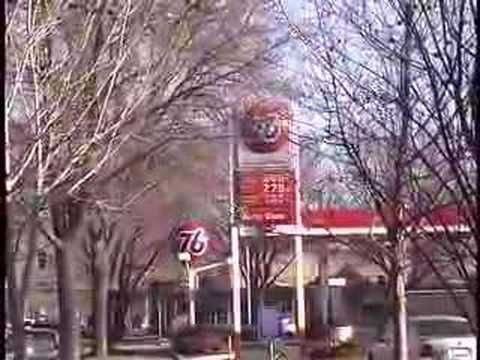 I don’t see them changing their traditional Phillips 66 signs over to another style. These balls are part of our history, and they are destroying our history. I could see this if they were owned by another country, but for an American Company to do this is beyond belief. I will never buy their gas again. 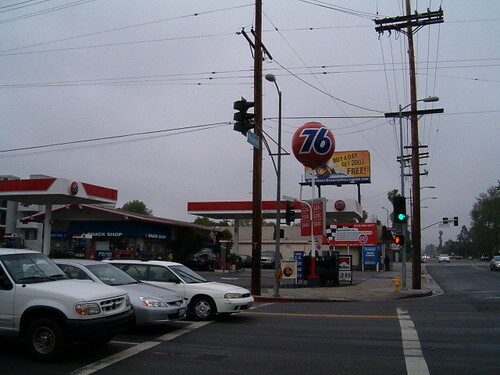 I have shed more than a few tears the past few months over the Chevron take over of Unocal. I was born and raised in Southern California and Union 76, Vin Schully, and the Dodgers was the holy trinity. My husband has worked for Union 76/Unocal/Spirit Energy for the past 24 years. He worked downtown LA until 1988 and we were relocated to Houston Texas. Now he has become part of the Chevron take over. It was a sad day for us…I am glad that we were part of the Union 76 family and have so many memories. When we travel we always stop when we see the orange and blue 76 ball. It’s not the gas–it’s just that symbol. I had one on my antenna in college and it always symbolized the Dodgers! If the signs go down, why should I stop at Union 76? They’ll probably eliminate that name soon anyway. I was looking at the different websites so I could write a letter. But I became stumped as to who actually owns 76. Does Conoco Phillips own them or were they part of Unocal which was purchased by Chevron? I went to both respective websites and they both claim ownership. It would be a good idea to know if our efforts are to succeed. It is a bit confusing, but it is ConocoPhillips that is dismantling the 76 Balls. You can contact them directly by clicking here.